Finally released my latest Facebook Instant Games offering to IG and Google Play. What is TODAY? Have you heard of Nametests or OMG? Well its an app very similar to those with the exception that it does actually contain game elements. It was developed not in HTML / CSS but as an actual game. Why when surely HTML5 / CSS would have been much easier? Well a) I don’t like too easy and b) When you play TODAY you will discover that is very different to the likes of Nametests and OMG. Everything animates, questions open up in a dialog instead of shunting you back to the top of the page and shuffling up all the questions (that I hate, it confuses the hell out of me). But best of all it has actual games, games that encourage user interaction on their Facebook timelines as well as arcade mini-games. How is it performing on Facebook Instant Games? Well, its tanked like every other game that isn’t being pushed by something. The likes of Nametests and OMG have upwards of 150 million monthly active users (MAU), why not TODAY? My theory is that apps like OMG need to be pushed by something, maybe a well known web site or Facebook page or some other social mechanism. Its easy to spot with Nametests because its been around for a long time, has millions of Facebook followers and a well established click bait web site. However OMG user acquisition is still a mystery to me. If anyone finds out how they are doing it then please let me know . Anyway, I had a Google Play version up and running immediately thanks to the IGX SDK which takes my game from Facebook Instant Games and gets it running on web and mobile. An absolute god send, because deploying to mobile these days just isn’t really worth the effort of filling in the app store listing . Seriously that is how bad it now is if you don’t have any marketing spend. Don’t believe me? Deploy an app to Google Play or the Apple AppStore and listen to the crickets . 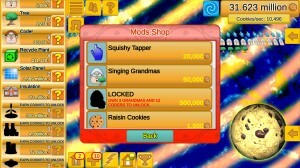 I may release an iOS version, who knows. Funny story actually about the Google Play version and their review team. The app was suspended almost immediately after I published it because it has a picture of two bodybuilding twin guys with their shirts off. Google Play stated that it was pornographic . I literally fell off my seat with laughter. Luckily I managed to get it re-instated. This is not my first run in with the Google Play review team and probably won’t be my last. TODAY like all of my Facebook Instant Games was developed using the Booty5 game engine and editor. I really need to change the name of Booty5 to something a bit better. Recently two family members have started streaming their gaming on Twitch.tv. They currently stream a game I love to play but am terrible at so prefer to watch . That game is League of Legends (I’m a lowly silver player, these guys are Diamond level players). if you like to watch gaming streams you should check them out, they’re pretty entertaining pair. I hang around in the streams and chat from time to time. Anyway the point of this blog is to mention that it got me interested in streaming and streamers. I have discovered that Twitch.tv have an extensions API. I’m currently analysing the APi to find ways in which I can integrate it into the IGX SDK. This will enable developers to deploy their Facebook Instant Games straight to Twitch with little to no modification. Twitch.tv enables monetisation of your extensions via a currency called bits which seems interesting, so plenty of scope for earning money fellow developers. The IGX SDK is a wrapper for the Facebook Instant Games SDK that enables you the developer to deploy your games and apps to web (mobile and Twitch.tv support coming soon) with little to no code changes, helping you maximise visibility and monetisation. So I got bored with writing games for Facebook Instant Games for a bit and decided to jump on the entertainment app (NO THEY ARE NOT GAMES ) train that seems to be doing well on Facebook Instant Games right now. I wrote a MEME generator / creator that lets users create their own MEME’s and share them to their timelines. 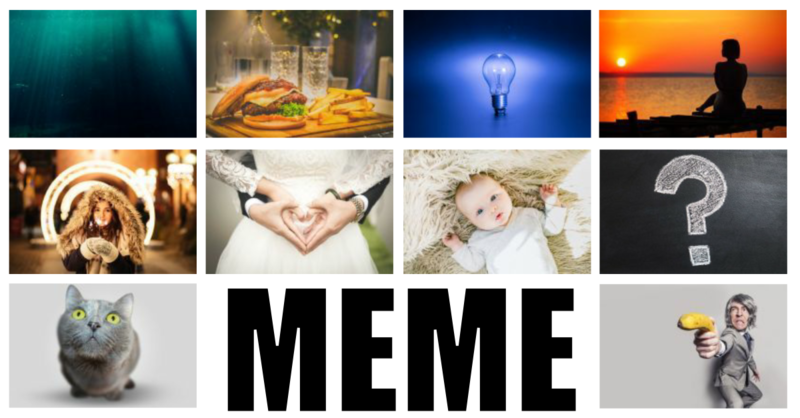 The user can generate around 900 different MEME’s with over 500 different backgrounds. 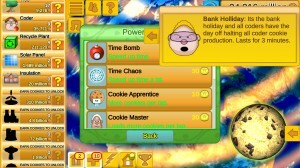 They can customise the text, text size, colour and even sign them. I don’t hold much hope out for it doing well, but its just something that I really wanted to create and really just a stepping stone to much larger more involved entertainment apps. Coming to web and native mobile using the IGX SDK very soon. Hey web game developers, just seen news regarding CrazyGames, they now have a new developer portal and offer revenue share options for your HTML5 games! Its great to see portals placing value on developers efforts like this. Note that this also includes web versions of games exported from Unity / Unreal etc..
To celebrate the launch of the public beta version of the CrazyGames Developer Portal, they have organised a contest for game developers. Three independent game experts will choose the best games that have been uploaded between the 1st of October and the 30th of November. The winner will be awarded $2,000! Yes, I think I may be entering some of mine, so fingers crossed . I have been looking for another potential avenue for earning money from my Facebook Instant Games so hopefully re-targeting them to general web gaming can be part of my new strategy. The game doesn’t contain advertisements. The game doesn’t contain branding from another games portal. The game has not been published on other portals before (Does NOT include Facebook Instant Games Portal). 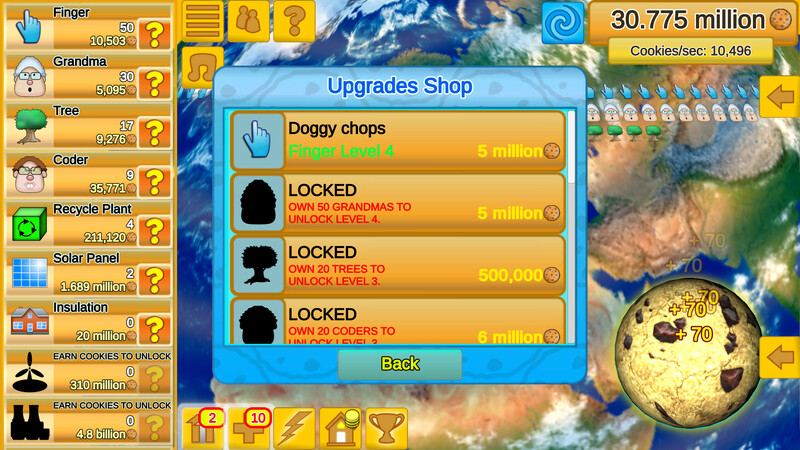 Just released my latest mobile and Facebook game Cookie Clicker Save the World targeted at raising awareness of climate change in a fun and challenging gaming environment. Gamers playing the game are gradually introduced to various climate issues and what can be done to help, such as recycling, using wind power etc.. 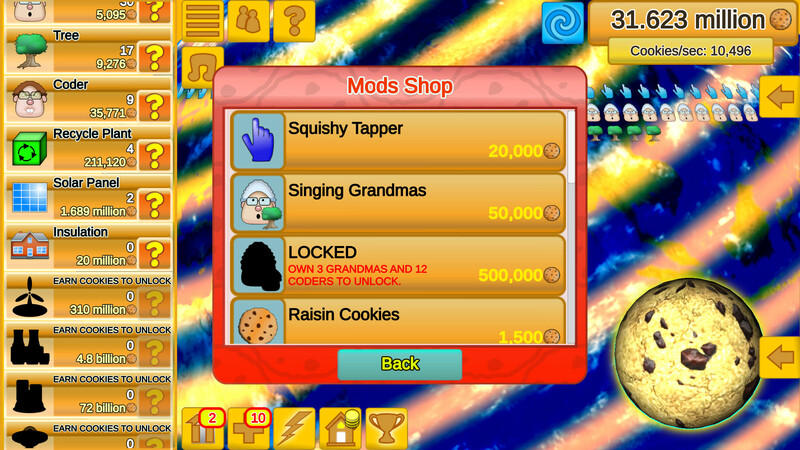 The game is an idle builder / tapper based in the near future where current day currencies have been replaced with a new cryptocurrency called cookies. Players have to research and buy new technology to reduce carbon emissions reducing mankind’s impact on the environment. 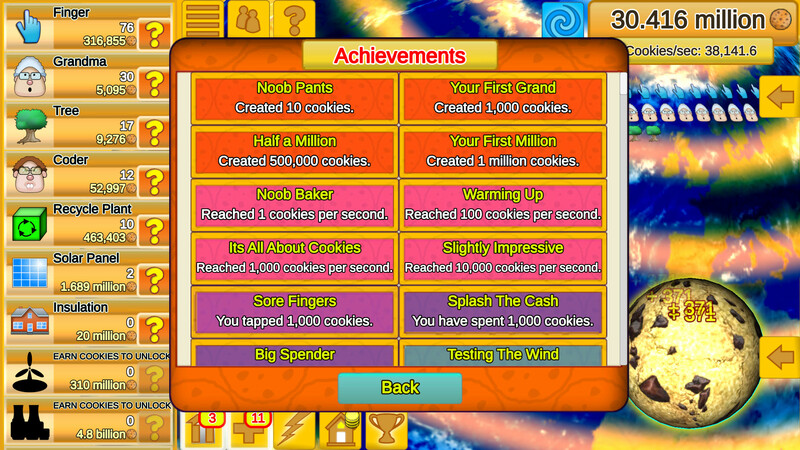 Use powerups to speed cookie cooking production. 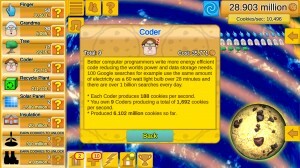 Evolve your cookie mastery to gain extra benefits. Login with Facebook, invite friends, share progress and compete with friends in the cookie master leaderboards. Random blessings boost your play. Deal with random curses such as striking workers, maintenance shut downs and more. You can find out more about the game at the official Cookie Clicker Save the World website. From Unity 3D to Facebook Hosted! So I decided to have a go at getting one of my mobile games up and running on Facebook’s site, chatting to other game developers they warned me to steer clear as its a pain and it will eventually break when they change to the next API release etc… Of course I didn’t heed their advice and went ahead and gave it a try. The main reason being that Facebook now host game content for you, so you no longer need to host it on your own web site using up your own meagre bandwidth and best of all you do not need to buy and manage SSL certificates, whats not to like. Ok, I wasn’t happy with the default screen resolution that Unity exported my game at so I changed it, taking into account that my game will be shown in a frame on Facebook, so I changed the canvas width and height in the Unity WebGL export settings dialog to 480×800. Lovely, it now fits on a 1080 display. In the Facebook Web Games section, locate the Simple Application Hosting section, just beneath that there is a link named “uploaded assets”, click that link, a new browser tab will open which takes you to the Manage Hosted Asset section, click the add and setup button to the top right then under Hosting Type select Unity (WebGL). Now go to your Unity exported WebGL folder and zip up all the files, this should include index.html, TemplateData and Release folders, ensure that index.html is in the root of the zip. Go back to Facebook Manage Hosted Assets section and click the Upload Version button, select the zip you just created then upload. The file will show up as processing, after a while this will change to Standby, at this point you can push your app to production by clicking on the small Move to Production button (If you want to later replace the build with a new version, simply move the build back to Standby by clicking the Move to Standby button, delete the build then re-upload a replacement. Once the build is live you can visit your app url (see the Facebook Web Games Page URL in the Facebook Web Games section of your apps settings). Visit this URL and you will be able to test the game. Note that your game will not go live however until it is reviewed by Facebook and approved. 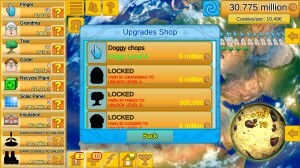 I am quite lucky with my game because I do not require any extra permissions. The game only logs into Facebook, uses the players profile picture and shares the players progress via the share dialog. To get the ball rolling you need to click the Add Products button to left hand side of the screen in app settings then select “App Centre”, fill out a bunch of info about the app including short / long description, app icons / screen shots etc. Once that is added you can submit for review. Note that if you need any additional permissions such as publish_action then you will need to provide additional info during submission. Finally don’t forget to make your app public (go to the App Review section of the apps settings and click the button at the top of the screen, this will toggle your app between live and development mode). The end result can be seen by taking a look at Tens Maths IQ Challenge on Facebook. Facebook now host Games up to 500MB! I’m usually so busy that I miss cool stuff sometimes, anyway, I’ve discovered today that Facebook will now host WebGL (including Unity) and HTML5 game content for you for free. So gone are the days of having to host your own and get a SSL certificate etc.. There are some limitations however such as 500MB max content size, 500 max files and no use of scripting languages such as PHP. Still for most uses its great. You would not believe how m any times I had to retype that last paragraph! My son gave me a gaming keyboard and after years using tghe same keyboard, its proving very difficult getting used to one with bigger keys! It has been a long while since I released an update of Booty5, but at last it is here. A good fellow over at Droidscript got in touch to let me know that they had added a plugin for their awesome app (check it out to see what I mean by awesome) which enables developers to develop games using the Booty5 API directly on an Android device and / or via a desktop browser, which to me is coolness of a higher degree. I had planned a release of Booty5 to push out the latest changes to the engine as well as support for texture packer trimmed bitmaps amongst other things so I went ahead and interfaced the Booty5 editor directly with the Droidscript app allowing games to be sent directly to Droidscript and played on the device. This provides a very rapid development environment directly on device. The manual and API documentation have also been updated so please don’t forget to view / grab them.